Centrepoint - Why Join Centrepoint? Receive a copy of the Centrepoint Newsletter ten times per year. This contains articles and information about local issues, adverts placed by English speaking businesses and Centrepoint events. The Newsletter is in English. Be able to borrow books and DVDs from our comprehensive Library. This contains fiction and non-fiction books, including a selection of works about Basel. Be able to join a Conversation Group, where fellow members of Centrepoint lead discussions in a variety of languages, including English, German and French. Be welcome at Friday Coffee Mornings. This regular activity starts at 10.30 a.m. and is in English. Here you will meet other members and be able to chat over coffee or tea and biscuits. Be welcome at Wednesday Coffee Mornings – or Kaffee Auf Deutsch. This regular activity starts at 10.30 a.m. and is in German. 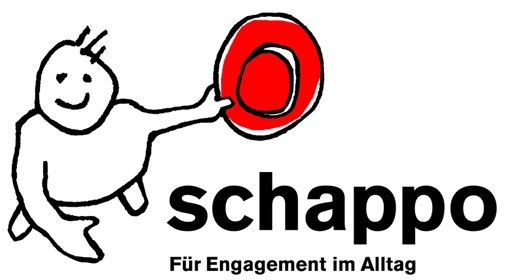 This is an opportunity to practice your German or support others with their German. Be invited to join in various social activities, both during the day and in the evenings. Be able to take part in various cultural activities organized and led by our members. These have included taking guided tours of the Feldschlossen brewery, the Mariastein Monastery, the Vitra Design Museum and seeing how a Fasnacht Clique works. Have the opportunity to participate in activities with other members, such as the Walking Group, sewing and knitting with the Hooks and Needles group or playing Bridge or Mahjong. Be welcome to volunteer and share some of your skills with your fellow members.